Working with methodologies that include Pilates, GYROTONIC®, and GYROKINESIS®, BodyFix Method®, Booty Barre Method®, TRX and Hellerwork Method®, our encouraging professional team will design a quality personalized experience with you entirely based on your wants, needs and goals. Jennine began her fascination with the art of movement as a young student of ballet, gymnastics and swimming. She was born in Long Beach, California, and attended California State Long Beach where she pursued a Bachelor of Arts in Business Management, with a Minor in Dance. Jennine is a certified Gyrotonic® and Gyrokinesis® instructor, as well as a certified Pilates instructor. Jennine was introduced to Pilates in 2000, and was astounded by her rapid improvement of overall core and abdominal strength. In 2004, she began private Pilates training and knew almost immediately that she wanted to teach the art of Pilates. In 2007/08, she earned her Pilates certiﬁcation in Core Intelligence (a highly specialized course introducing core muscle awareness), and Advances in Pilates Techniques from master teacher, Marie-Jose Blom-Lawrence, at Long Beach Dance Conditioning in Long Beach, California. Jennine was trained using state of the art Balanced Body Pilates equipment based on the principles and techniques of Joseph H. Pilates with an emphasis on rehabilitation. In 2009, Jennine began her pre-training certification on the Expansion Tower, and completed her foundation training in 2010. She also added a Gyrokinesis® certification in 2011. Jennine specializes in post-surgery rehabilitation, and is a strong believer in using Gyrotonic® and Gyrokinesis® to prevent injuries and surgery for hip, knee and shoulder issues. She utilizes her dance background, Pilates and Gyrotonic® training to create engaging and challenging sessions for both private clients and groups. She is married and lives in Laguna Beach, California with her husband, Alistair, and her very spoiled Scottie dog, Moonie. 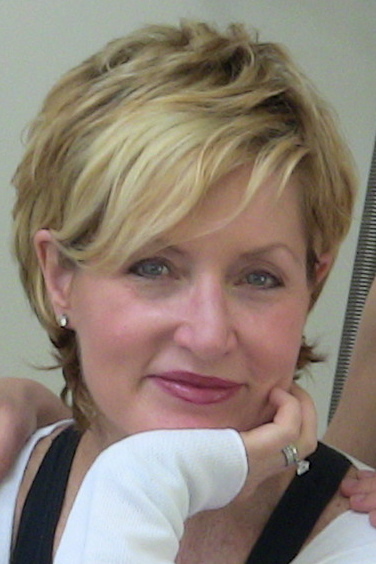 Jennifer Ball has been teaching Pilates and Gyrotonic® since 2006. She earned her Pilates certification in 2006 through BASI, and her Gyrotonic® license in 2011. She has had the honor of working side by side at both of her Pilates and Gyrotonic® Master Trainer’s studios where she fine tuned her techniques. Jennifer has experience in working with an array of clients from high performing athletes, rehabilitative/therapeutic clients, and those who simply want to feel and look good. Jennifer’s interest in anatomy and biomechanics of movement are demonstrated in her teaching through her attention to detail and alignment. She is often called “Eagle Eye” by many of her students. Continually inspired by her students, Jennifer’s commitment in teaching Pilates and Gyrotonic® is to help students find core stability, overall strength, flexibility, improved posture, coordination, and a deeper body awareness. Her goal is that students will fully experience movement with ease and grace. Jennifer believes that the human body is magnificent and holds a vast potential to experience joyful movement during all of life’s stages. Victoria Kaufholz is a Pilates instructor certified through ABC Pilates with Balanced Body Curriculum. Vicki has been certified on all Pilates equipment and mat and is dedicated to helping her clients achieve greater range of movement and deepen their mind/body connection. She has been teaching since 2012 and thoroughly loves assisting her clients enhance their understanding and appreciation of Pilates. As an instructor she has a gentle but focused approach, making sure that muscles are thoroughly engaged and stretched, all the while working in a balanced and controlled alignment. In November 2013, Vicki passed a very rigorous exam to her Pilates Method Alliance (PMA) Certification. PMA Pilates certification is the only 3rd party Pilates certification available in the national and international Pilates industry. In 2017, Vicki added licensed GYROTONIC® trainer to her repertoire. The Gyrotonic® Method is an original and unique movement method that addresses the entire person, opening energy pathways, stimulating the nervous system, increasing range of motion, improving strength (without very little effort) and movement efficiency. She enjoys instructing her clients in all methodologies to increase range of motion and mobility, while keenly considering all physical or medical issues the client may have. Anita began her mind-body studies in 2002, and received her first (of three) Pilates certification in from Integrated Movement Exercise in New York. In 2005, she received her Pilates Certification from Advances in Pilates while studying at Long Beach Dance Conditioning with the lengendary Marie Jose Blum. In 2017, she continued her studies at The Kane School in NYC with Kelly Kane. Anita’s personal journey to heal her own body has shaped her career and studies. Challenges living with scoliosis, lower back and neck pain, as well as debilitating migraines led her to explore movement as a source of healing. Anita’s passion for working with chronic pain and injuries led her to deepen her knowledge of human anatomy and function. In 2008, Anita earned her certification as a Hellerwork Practitioner. In 2015, she also earned her certification in the Egoscue Method for Postural Alignment. Most recently, she has been practicing BodyFix Method in NYC, where she combines all of her hands-on therapies with corrective exercises to alleviate chronic pain by restoring the natural alignment of the body. 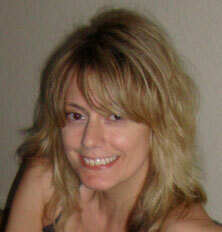 Anita specializes in scoliosis, osteoporosis, migraines, and Pre and Post-Natal Pilates. She also has experience in treating injuries and rehabilitation of the lower back, hips, neck and shoulders. Anita brings the focus of her attention to every session to ensure that every client has their individual needs met above and beyond. In every session, she emphasizes optimal structural alignment. Achieving this balance in the body heals old injuries, alleviates chronic pain and prevents new injuries from occurring. Anita believes that movement is healing and everyone deserves to feel great in their body.